Family Time With Kapil Sharma is getting full media attention. Kapil Sharma is coming with a new show so it was bound to get full attention. last year was very bad for the comedian. He fell into controversy after controversy which resulted into closure of his show; The Kapil Sharma Show. even after that, thing did not simplified for Kapil Sharma. His movie also tanked at the box office. 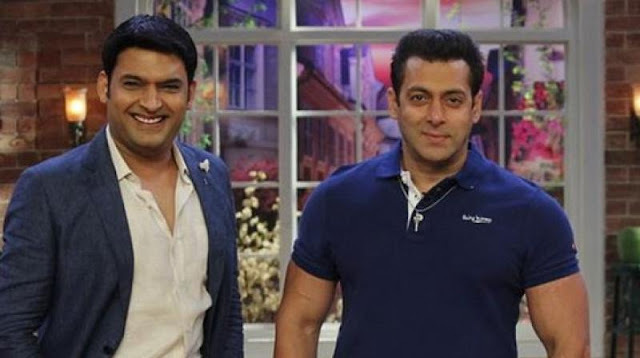 For a while, it seemed like that Kapil Sharma had lost his focus. But now, he is coming with a new show,. The show have a unique concept. This will be a game show with laughter content it it. The team of the show has not been revealed yet. But the first celebrity of the show has been revealed. Bollywood superstar; Ajay Devgan will be the first guest on the show. The promo of the show has also been released. Ajay Devgan can be seen in the promo making fun of Kapil Sharma's controversies. Ever since the announcement of Family Time With Kapil Sharma, people are getting restless to know about the release date of the show. Well, the release date of the show has been fixed. According to the reports , the show will start airing from 25th March. Family Time With Kapil Sharma will take place of Super Dancer 2 which is ending this weekend. The show will on the same time slot. And the release date is 25th March. The team of the show is doing aggressive promotion of the show. So, let's wait till 25th March and let's see what Kapil Sharma has to offer this time.